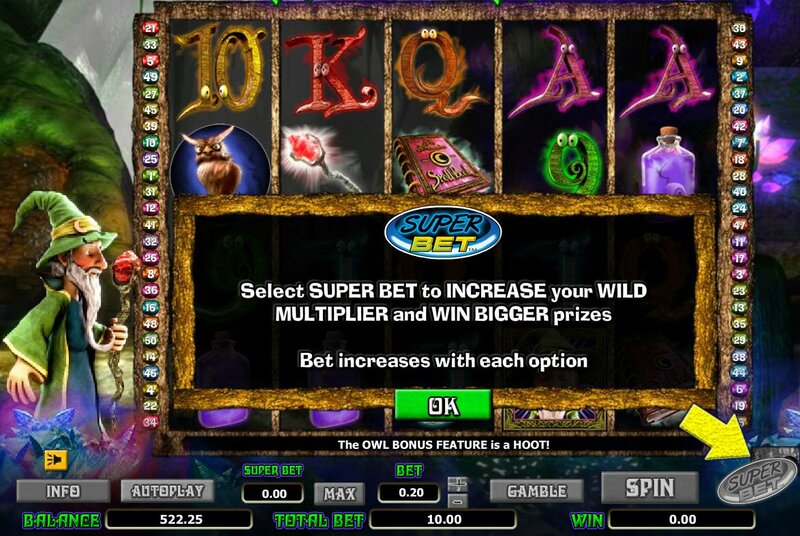 SkillOnNet keep giving us great new games, expertly designed and with great, innovative new features, like Super Bet. The atmosphere, minus the impatient Merlin’s tapping on the glass, is wonderful and only adds to the whole experience with all the bonus features and prizes on offer. Merlin is an awfully impatient wizard. When I am reviewing slots, like Merlin's Millions, I need to take screenshots of my progress for you to have sneak peeks at the SkilOnNet games. However Merlin kept knocking on the glass and waving at me! 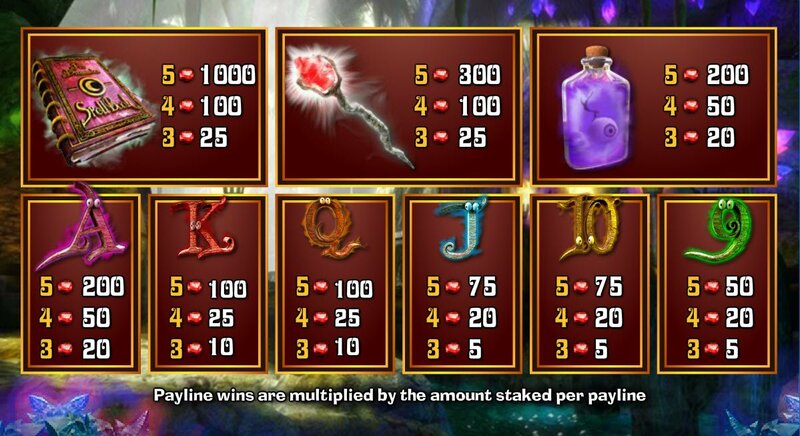 So, let's not disappoint the old wizard and let's get this Merlin's Millions Super Bet Slot review underway. The graphics are mystic and have an ethereal air about them, amongst the potions and spell books; owls and eye of symbols, staring out at you from their 9's, 10's, Jacks, Queens, Kings and Aces. Merlins Millions Super Bet Slot is a 50-line, 5-reel SkillOnNet slot machine. The innovative new Super Bet feature we will discuss later on in the review. The music and Merlin's constant impatience meant I had to turn the audio off while I reviewed this game and so was left to the atmosphere created by the graphics themselves. SkillOnNet's Super Bet feature gives us up to 10x multipliers as an additional wagering tool. You can bet up to 300x your current bet per line and win up to x10 the money in prizes. It works on a sliding scale and Merlin will zap the reels with his scythe in order to show you have activated the feature. The innovative new Super Bet feature we will discuss later on in the review. 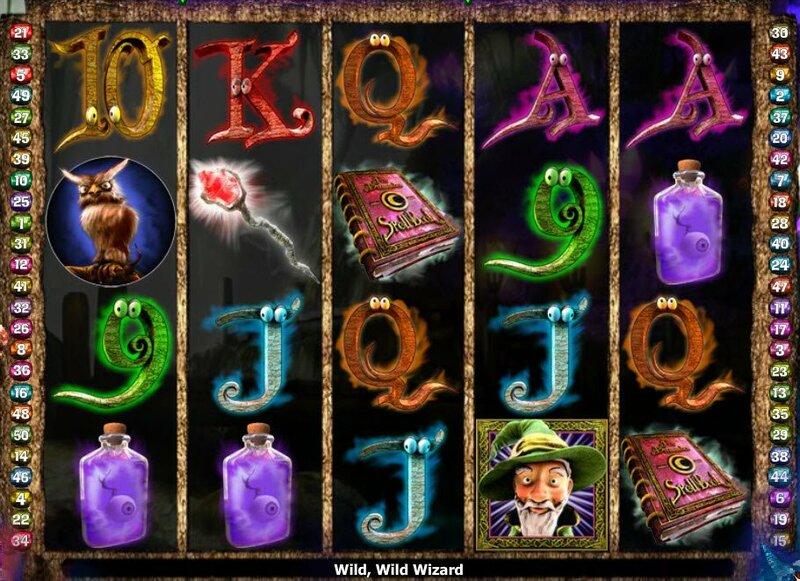 When orbs appear you will receive 5 free Merlin Millions slot games. This free games feature can be retriggered and the impatient Merlin standing next to the reels will help you out by turning Merlin symbols wild. The Merlins Millions Slot Bonus Feature will let you collect the feathery, night-time creatures for prizes that are multiplied by the triggering bet. You can also trigger this feature during free games. There's definitely magic afoot here and you'll have to be quick off the mark to collect Merlin's Millions in prizes.